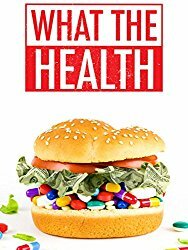 » Lifestyle » 20 Most Eye-Opening Health & Sustainability Documentaries You Must See! 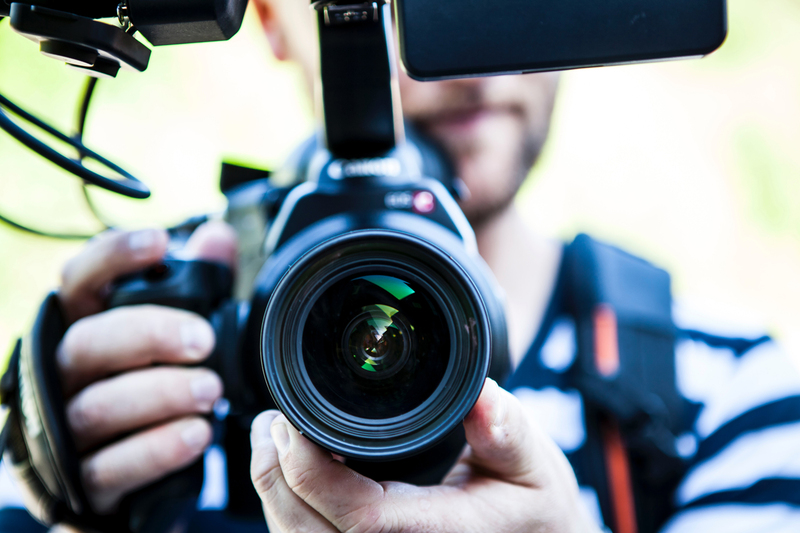 Documentaries can educate and inspire people – some even offer advice on how to implement changes in your life as a positive. Others show examples of bravery, and selfless actions which could encourage one to step out of their comfort zone or be more mindful. Watching a positively influenced film can motivate you in your own life. As humans we respond to stories and facts, especially when presented to us by individuals who share similarities – it creates more connection and understanding. It is more relevant to us. Since we are surrounded by media – why not feed your soul positive messages. Things that will inspire and motivate you rather than fill you with anger, frustration and fear. Watching documentaries is similar to grocery shopping at a health store. Believe it or not our actions, can be our voice. We as society choose what we want more of. You buy more organic, healthy food – there is more demand for it and you see more options available. As a consumer you make the choice. The same goes for the type of media we choose to consume whether it is a movie, magazine, book… the choice is ours. So we have created a list of documentaries that we believe have the potential to not only have positive impact on your life – but possibly our world. Creating large scale change within our world is possible. Education is the first, and most important step to getting there. So educate yourself, inspire yourself through these films and live by example if you agree with the message they are giving. Labelled as being vegan propaganda, it’s simply raising awareness to what we actually consume. The personal stories in the film give you hope that there is a better way to live. We have a choice to be healthy, and live a vibrant life rather than dying of cancer or heart disease. Information, such as in this documentary, should be exposed to the public, so there is more awareness. All of these documentaries should be. I hope people will take a look at the significance of diet after watching this. 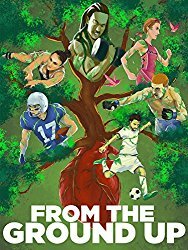 This has been one of the first few documentaries to showcase veganism and althletes. Maybe a good time to be release as there is currently (2018) a lot of hype about the upcoming film The Game Changers which also showcases the positive impact a plant-based diet can have on an athlete. This film was very “basic” you could say, however there were many stories to show that athletes are using a plant based diet to obtain great result. Very inspiring and hopeful. It’s great to see more and more celebrities and athletes expressing their lifestyle and using their voice in a positive way. It covers all the aspects of going vegan and why to do so – from healthy issues to the way animal are killed in food industry. Everybody should see it, even if you aren’t thinking about going vegan – at least you get educated on this topic and can make more conscious choices. 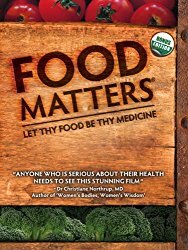 This film claims that whole, natural foods are essential, and exposes the dangers of some processed foods and additives. Did I mention they really emphasis how harmful artificial ingredients and sweeteners are. It is worth watching for that alone. 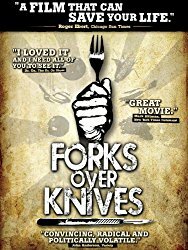 Like the name states – this film is encouraging diet (forks) over medications and surgeries (knives). If you have watched other plant-based documentaries the message is very similar. If not, it will likely have you starting to think critically about what you eat and how it impacts your health. A documentary which focuses on juicing as a way to drastically improve health and wellbeing. A choice that can seem unobtainable to some – however this documentaries does express how juicing can have an extremely positive impact on your life, and help you reverse, or control some diseases. It is great for anyone with serious matters, but likely not a sustainable choice for many. They are definitely worth watching to see the transformations and the positive impacts juicing can provide. Its hard to turn a blind eye and believe standard medicine will heal our modern days wealth related diseases. 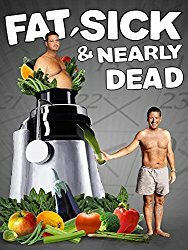 This film supports that if modern medicine was successful we would not be having more deaths by cancer, diabetes, heart diseases etc. 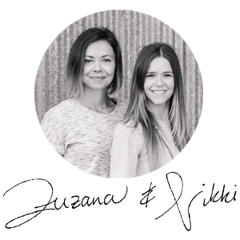 Also the creators of Hungry For Change. Final say – watch this film (or any of these) do your own research and create your own opinion. “Food, Inc.” takes a look at the intersection of food trends and tries to determine the source. Why is it cheaper to get a double cheeseburger at McDonald’s than a pound of broccoli at your local grocery store? This film uncovers the truth in packaging and advertising that companies are involved in. We get a closer look at what were eating, where it’s coming from, and how it’s made, and the results are all pretty eye opening. 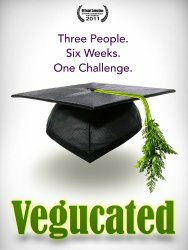 Vegucated is a documentary that follows 3 New Yorkers who agree to adopt a vegan diet for 6 weeks. 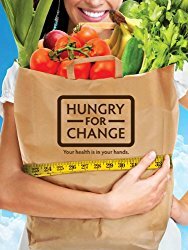 This film gives a good insight of real people changing their eating habits. However we must disagree with how they choose to consume highly processed vegan foods. We are believers in whole-plant-based foods, and don’t find it necessary to have to consume processed foods. 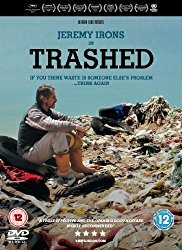 A documentary that everyone should see and reflect. It opens our eyes to global warming and pollution and the effect our diet can have on it. Any one who makes a positive change to their diet, the better off we all are. Imagine if all omnivores became vegetarians? That’s a huge step in the right direction. It’s great that more and more films are being created and shared about this matter. 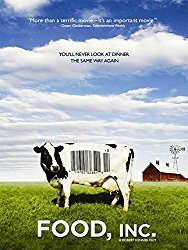 If you think you know a lot about how the bio tech is trying to dominate the entire food industry, think again!This film exposes terrifying information about what big corporations can do, and ARE doing, for money. 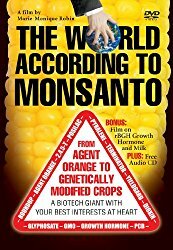 Definitely worth watching along with other similar films about GMO’s to understand how they literally threaten human existence. 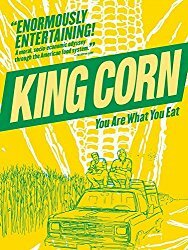 King Corn is about two friends who decide to grow corn on an acre of land in Iowa to learn more about how our food system works. They spend a year going through the full growing cycle as well as following where that corn goes (or is likely to go) in the food chain. In their quietly understated way, they tell a story that is disturbing and in the end really grabs you. Personally I found the interviews with farmers, professors from the university, and food industry professionals very interesting an eyeopening. Watch it! 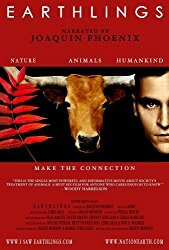 Totally personal opinion, but I feel that Earthlings is the most powerful documentary ever made and everyone on Earth needs to see it. 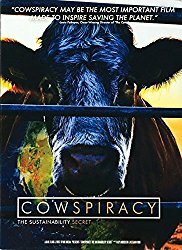 Let this documentary help you awaken, and see the truth of how cruel and violent we humans have been to other earthlings. It shows how man uses his will and force over animals in many different areas such as the food industry, entertainment, science, domestic animal breeding, and clothing industry. For those of you who are too afraid to see this because of the graphic animal abuse…just remember that they have to live through this violence each and every day, every minute and every second. We owe it to them to see it. Because the more we see the more we know. And the more we know, the better we can speak out against it. A Netflix original and MUST SEE. 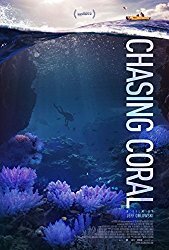 The film follows a team of divers who undertake the task of setting up time-lapse cameras on the ocean floor to capture the sadly, dying coral reef. The film is breathtaking, in the form of how the film makers capture the beauty of the undersea, as well as the realism of what is happening beneath us. Their site offers numerous ways to help spread the message and start to implement some supportive changes. This film is heart wrenching. 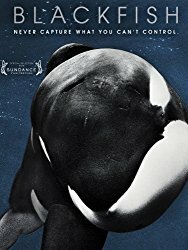 It is based on Tilikum, an Orca that has been at Sea World since 1983 and who is responsible for the death of 3 people (2 of his trainers, and 1 man who snuck into his tank). The film exposes the horrors that these animals go through while being kept in captivity for our pleasure. Hopefully watching this film will make you think twice about visiting some tourist attractive zoo or aquarium – they are all the same. Bottom line, animals should not suffer for our pleasure. We should NOT be paying to view living beings and support the people who create these places. 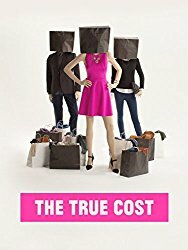 “The True Cost” is a movie about the clothing industry and the costs the “fast fashion” world we live in today has, with uncontrolled consumerism and a total lack of understanding of the processes behind the clothes we wear. 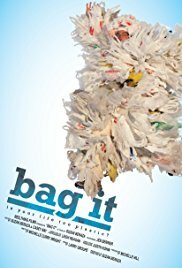 Watching this film we had already been pretty minimalist, however this film really made us aware and research where and who we are actually purchasing our clothes and products through. 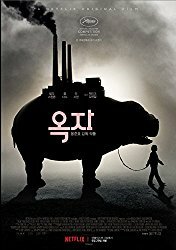 Beautiful and sad – A young girl risks everything to prevent a powerful, multinational company from kidnapping her best friend – a fascinating beast named Okja. For most of the film, I had tears rolling down my face as you watch the connection built between the young girl and Okja being destroyed by a large money-hungry corporation. Our bodies are changing, as synthetic chemicals are becoming an everyday experience for all of us. Every single human being on this planet is experiencing this, as we are constantly exposed on a daily basis to substances that our bodies have never seen before. At the same time, nearly all of our disease rates are rising, and many in the medical community are only now discovering, how much our lifestyles are affecting our own bodies, and those of the most vulnerable population, our children. 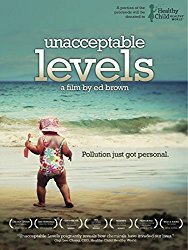 Filmed all over the globe, ‘Unacceptable Levels’ pulls back the curtain on how these chemicals are getting into our bodies, and it also reveals that there is hope inside of all of our challenges. This film will look at the most pressing issues of our time, such as environmental destruction, the western diet health epidemic, the twisted economics within the meat and dairy industries and present a comprehensive science-based solution to these problems – a shift towards the plant-based lifestyle; it will create a powerful case for both individuals and the planet. Through the work of many world renowned scientists, researchers and celebrities, EATING OUR WAY TO EXTINCTION will bring to life the reality of the true cost of our current relationship with animals and the environment that will create a powerful vision of the global movement towards a plant- based diet that is now beginning to unfold before our eyes. Although the documentary will advocate a plant-based diet, Siewierski (the film maker) mentioned that his new project will also explore the downsides of vegan junk food. “I believe that a whole food plant-based diet is at the core of what is needed to achieve healthy sustainable weight loss and improved health,” he emphasizes. 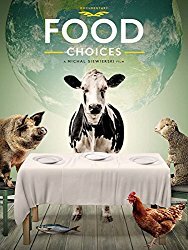 “But the film goes a step further and also tackles several misconceptions that are often seen in the plant-based world. With the increase of processed vegan food options, we are seeing a growing number of vegans having a hard time losing weight”. The documentary was produced and narrated by outspoken vegan actor Natalie Portman, and was based on Jonathan Safran Foer’s memoir, Eating Animals. However, viewers with weak stomachs, particularly in regard to graphic images of animal abuse and suffering, should be warned that this film doesn’t try to hide what is going on behind these closed doors. Unfortunately, documentaries are often seen by a select group. It’s likely that you are reading this, have watched or are interested in watching these films because you were already interested in the topic. Therefore, you are probably already open to the idea of improving your eating habits. The message needs to spread farther than you. So as we mentioned, if you choose to make changes in your life for the better, understand that you cannot change others (as much as you may want to) and lead by example.